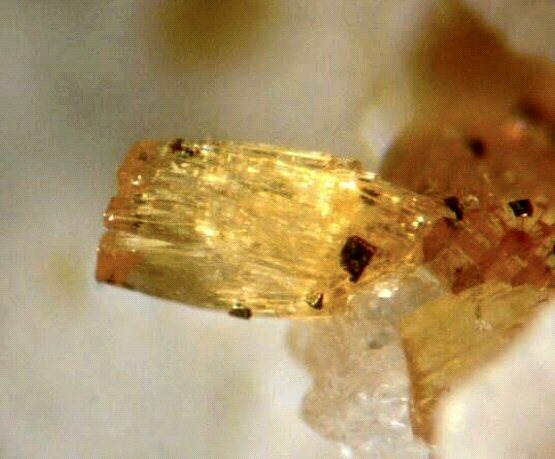 Comments: Yellow, barrel-shaped, prismatic footemineite crystal (AmMin v93:2. Location: Foote Lithium Co. Mine (Foote Mine), Kings Mountain District, Cleveland Co., North Carolina, U.S.A. Scale: Crystal size 0.8 mm.